I was made aware of the Glenmuir line of golf apparel last season when I had the chance to test out a polo shirt from their 2012 Golf Apparel Line. It was just before the Ryder Cup was going to take place at Medinah Country Club in Illinois where Glenmuir has been the preferred supplier of shirts and knitwear of the European Team for 25 years. I was really impressed with the first golf short I reviewed from Glenmuir. Here’s my take on two of their golf shirts from their 2013 Apparel Line. 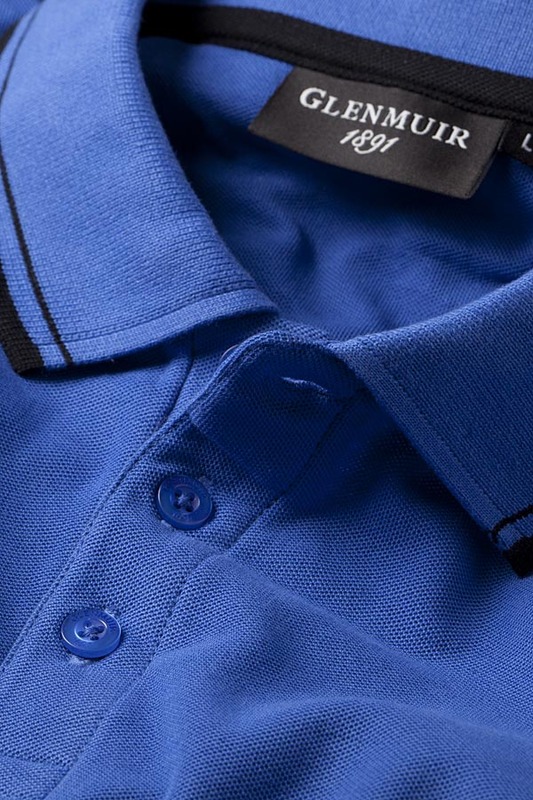 The Kippen Golf Polo Shirt is one nice golf shirt. Soft and comfortable, perfect for those that enjoy the comfort of 100% combed cotton. Glenmuir applies some nice touches to this shirt with the contrast of coloured collar and cuffs stripes as well as the Glenmuir 1891 embroidery on the right sleeve. The Kippen shirt is slim fit and the large fit my frame perfectly. No more baggy golf shirts. I do love a golf shirt that fits. This is a great shirt for those hot humid days here in the Ottawa area. 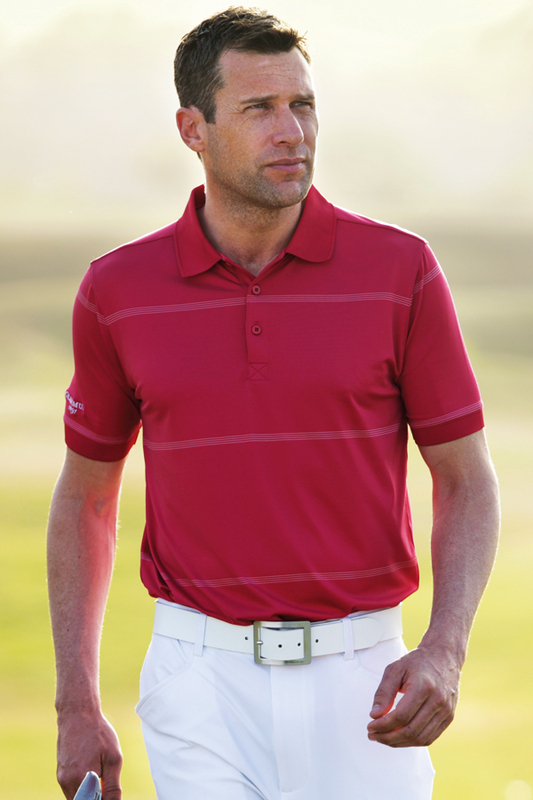 Made from 95% polyamide and 5% elastine this shirt is great at wicking moisture away from your skin when golfing. It not only will keep you dry and looking good but it also built in UV protection. Again Glenmuir is subtle with the nice touches of adding an interval stripe pattern into the shirt as well as the Glenmuir 1891 script embroidery on right sleeve. Again the slim fit of the Bexley was perfect a pleasure to play hot weather golf in. The Bexley shirt I reviewed was Grenadine/White but is also available in other exciting colors. Both the Glenmuir Kippen and Bexley Golf Shirts are great performing golf shirts whether you like the comfortable feel of cotton in the Kippen or the Performance Fabric of the Bexley. You can't go wrong with either golf shirt. The Kippen retails at £33.00 and the Bexley at £38.50. Golf shirts(polo) are a staple in any man's wardrobe. They are versatile and light, and can be dressed up or down according to the occasion. When forming your own wardrobe, make sure to include a variety of styles and colors of polos.